Photoshop is the most comprehensive image editing and graphic designing software. But all of these features also make it hefty on your system. Especially if you need a tool with just some basic features for day to day image editing needs, then going for Photoshop is certainly not a wise option. 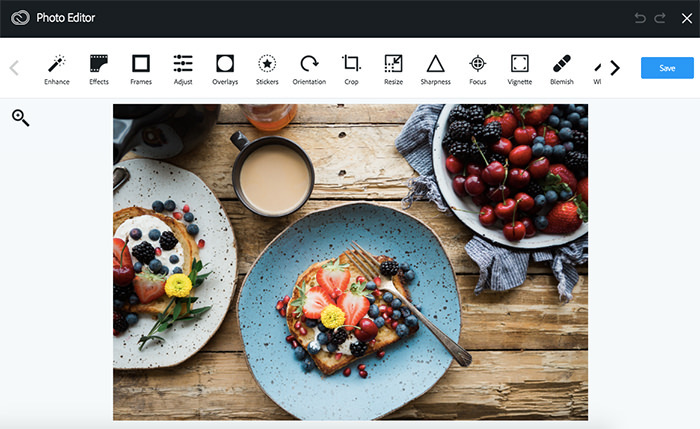 Photoshop is the industry standard photo editing software, but it isn’t the only way to give your images a new lease of life – there are plenty of free alternatives that put a huge array of powerful picture-enhancing tools at your fingertips. 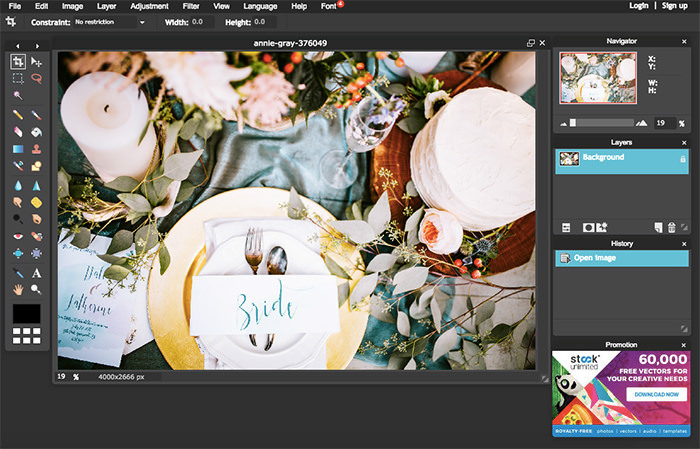 Simple photo-enhancing software has its place, but a genuine Photoshop alternative needs more than just red-eye correction and a handful of retro filters; it has to offer layers and masks, batch-editing, and a wide assortment of automatic and manual editing tools. It also needs plugins to fill any gaps in its feature-set, and enable you to work as efficiently as possible. Some of Photoshop’s unique features (like asset-linking) mean it will always remain the professional’s tool of choice, but the rest of us have an excellent choice of free alternatives. 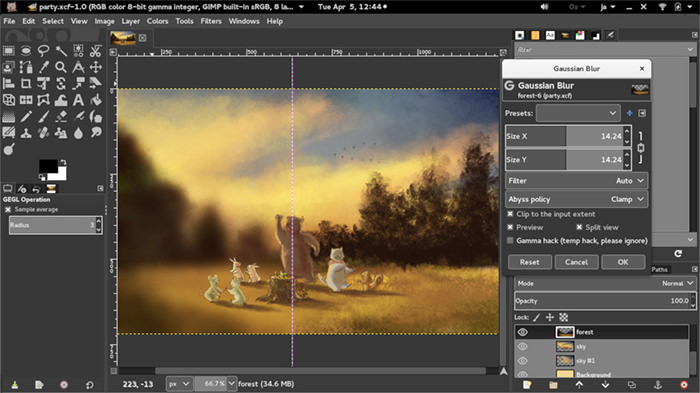 Gimp works across several different platforms and is probably one of the best free alternatives out there so far. 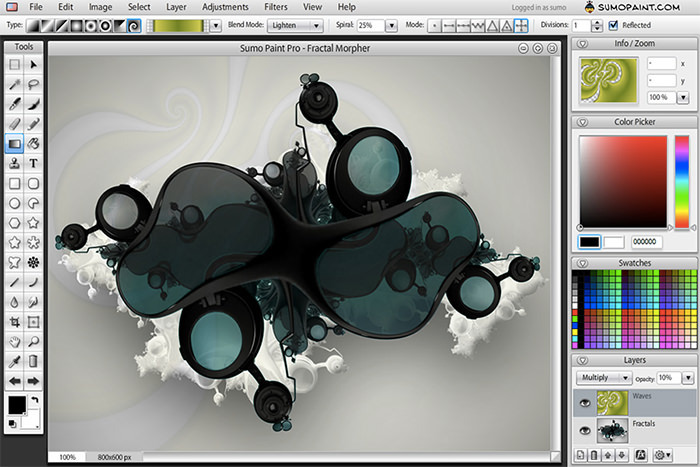 Gimp has a huge user community, with a great list of tutorials on the official site. 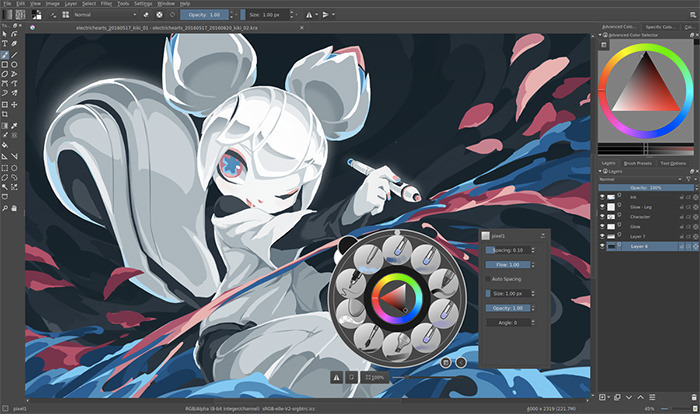 Krita is based on the open-source platforms like Linux and Unix. The tool is a great choice for those who like to make illustrations and textures. 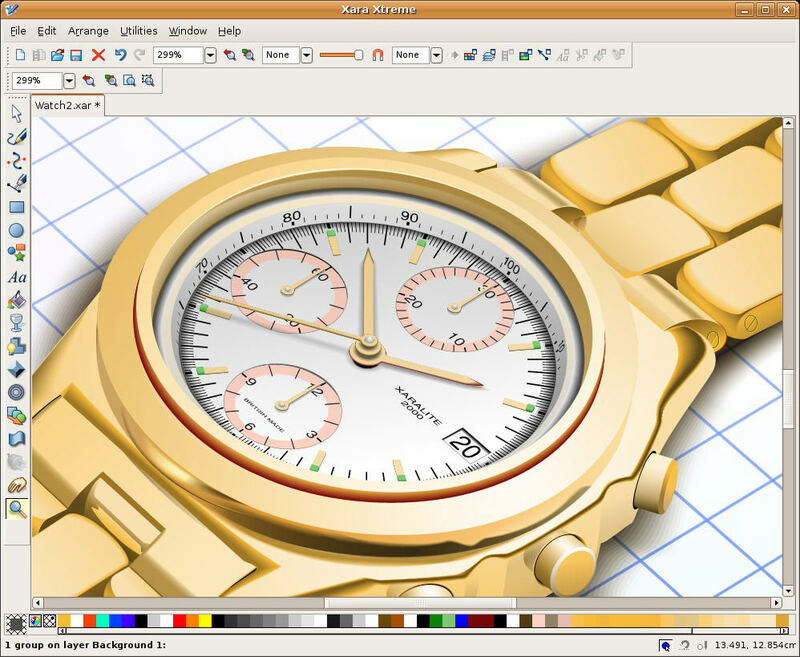 Xara Xtreme is a powerful, general graphics program for Unix platforms including Windows, Linux, FreeBSD and (in development) OS-X. Formerly known as Xara LX, it is based on Xara Xtreme for Windows, is simple to use and learn and has a clean user interface with few floating dialogs, palettes, menus etc. 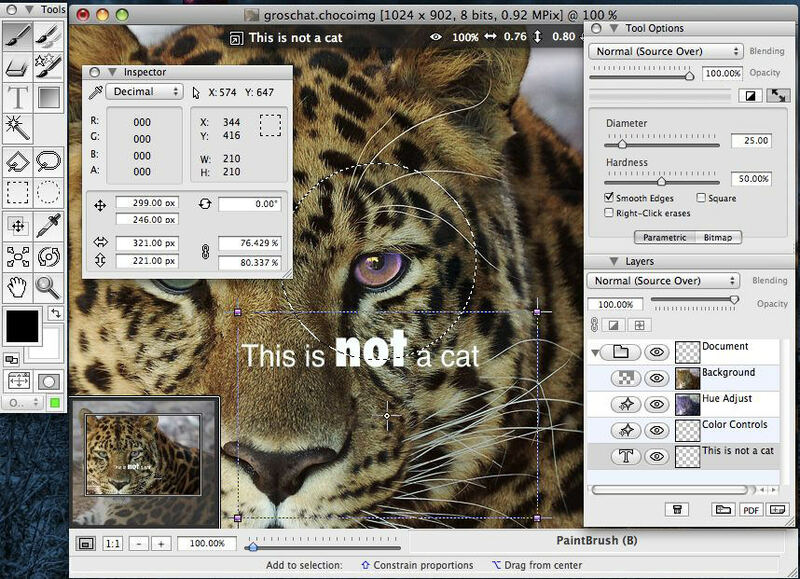 ChocoFlop is an image editor for Mac OS X, based on the CoreImage technology. 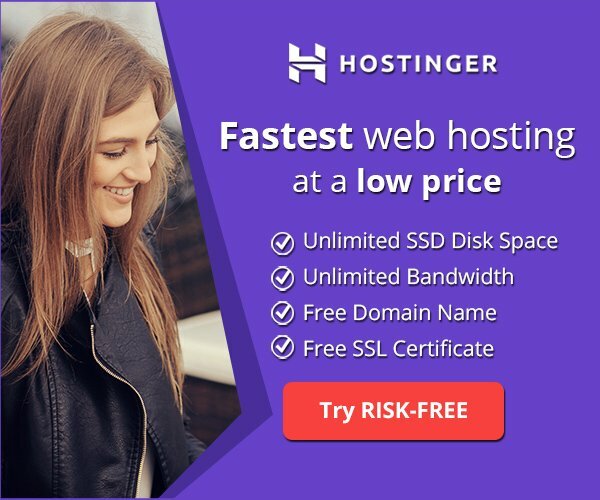 Designed exclusively for your mac, it works real fast and is currently in beta stage and is available freely. You may think this is just any normal image preview tool, but the fact is Mac’s Preview can perform some incredible image editing tasks. 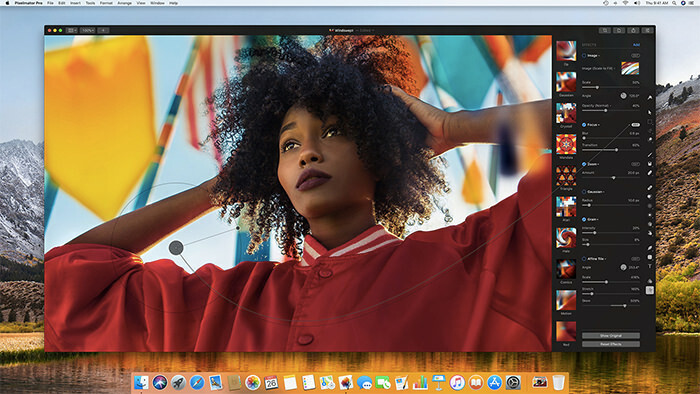 Pixelmator is one of the best photo editors for Mac that can perform simple editing tasks to machine learning-powered intelligent image editing. You can edit even the largest photos with ease and emulate as many Photoshop tools as you need. And there is also an iPad version. 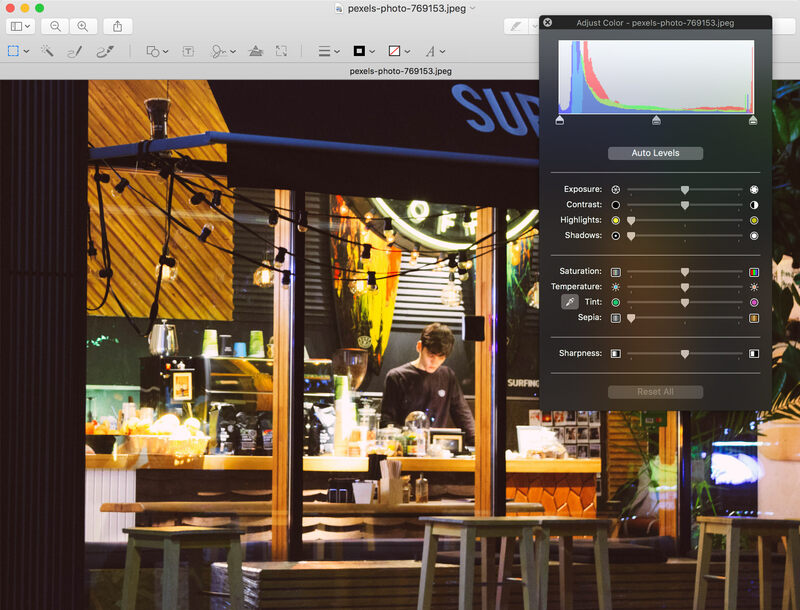 Seashore is an open source image editor for Mac OS X’s Cocoa framework. Based on GIMP’s technology it features gradients, textures, and anti-aliasing for both text and brush strokes and multiple layers and alpha channel editing. Aviary is a photo editing app created by Adobe. It has a complete list of color corrections, filters, and effects. BeFunky is a quick and easy-to-use image editor. 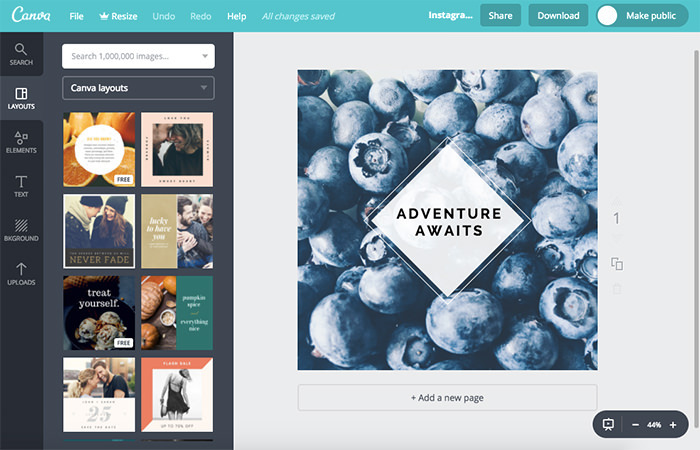 You can crop, rotate, resize, enhance, and sharpen an image along with other features. Canva is an amazing online tool allowing you to create a large number of designs, from a Facebook cover to a presentation. They have lots of pre-made templates for each type of the design, so you can just customize them and download. It has various features for different types of editing, but if you need a more powerful solution, you need to search elsewhere. This tool is simple to use, just click and drag and you get a dazzling photo effect. 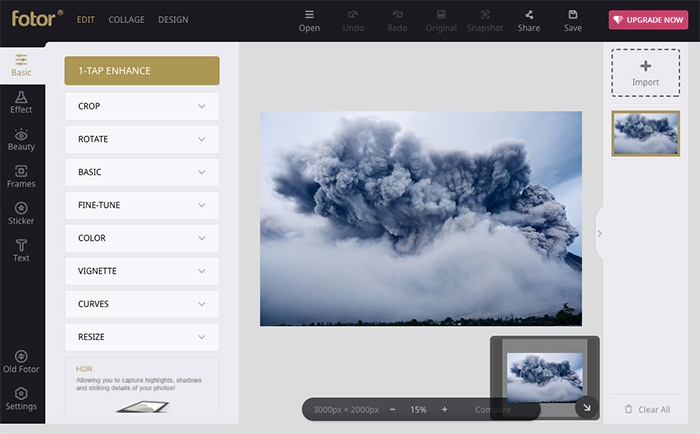 Fotor is available on almost any platform, in web or desktop versions. It allows you to enhance the image, crop, rotate, or add a vignette. 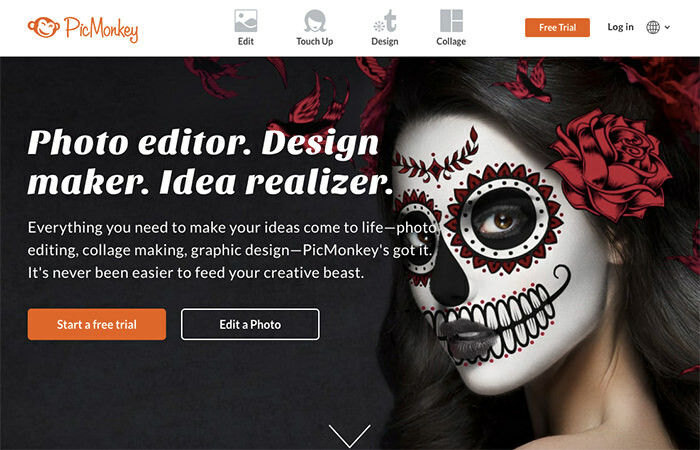 PicMonkey is a web-based design and editing tool with a lot to offer. You can start editing from scratch or edit an existing picture from web or computer. It requires Flash plugin. 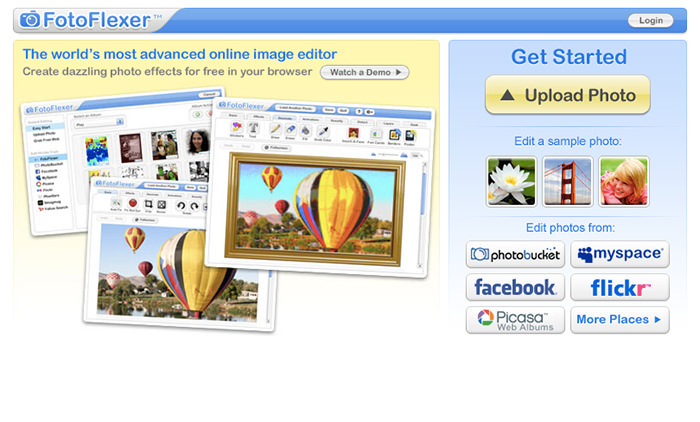 Pixlr is an online photo editor similar to Photoshop with a solid toolset. You can upload an image, and adjust it as you like. It requires $15 per year subscription, but it’s totally worth it. To use Pixlr you require Flash though. With PiZap you can play around with basic edits, like crop, contrast, and saturation, and add filters, stickers, text, or borders. 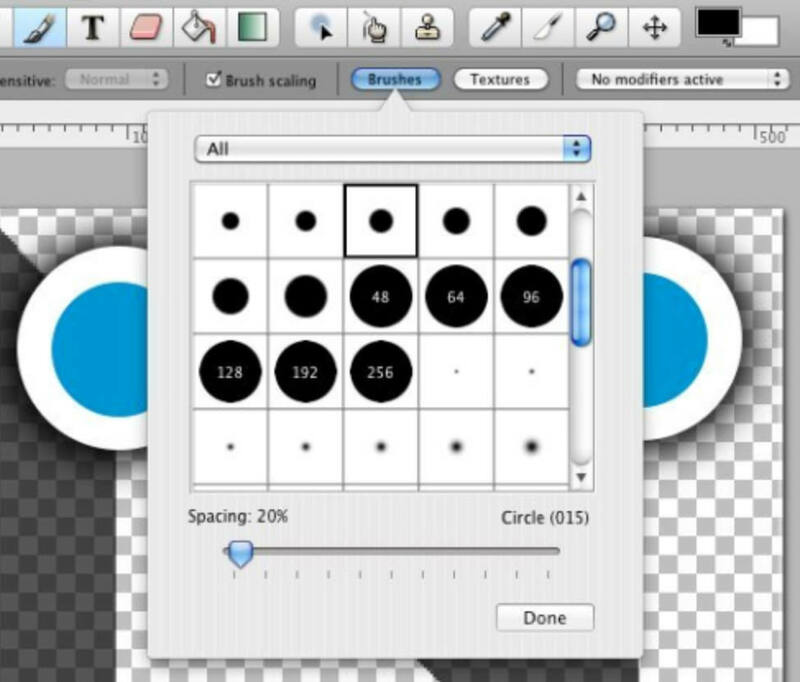 Despite the old design and weird logo, it’s an easy-to-use online editor. You can create a collage, postcard, and edit an image. Sumo Paint is an amazing quick online photo editor. Many advanced features are available only in paid Pro version, however, you can resize, crop image, and get swatches for free. 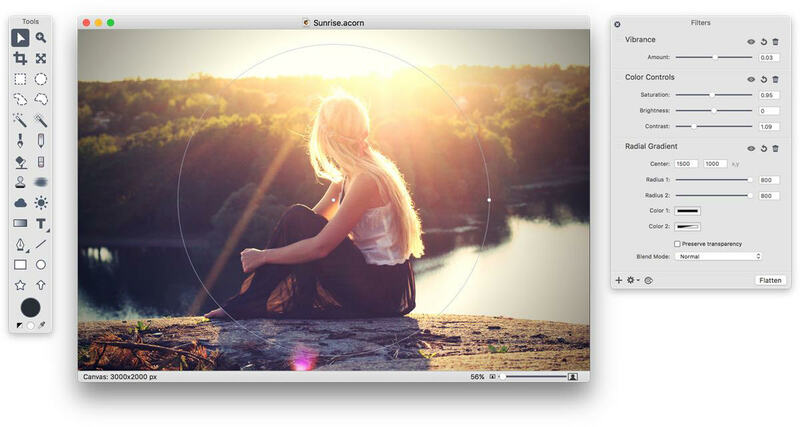 Another amazing image editor for OS X, Acorn is called the ‘image editor for humans’. 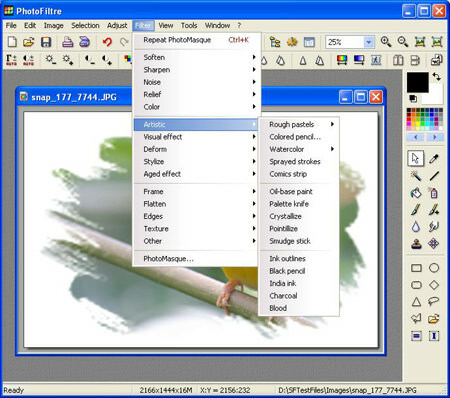 It includes advanced features and filters for image editing. Besides, the interface is familiar to Photoshop. Affinity Photo is a budget version of Photoshop. It’s fully packed with advanced tools and easy to use. It also has end-to-end CMYK 16-bit per channel editing and RAW processing. 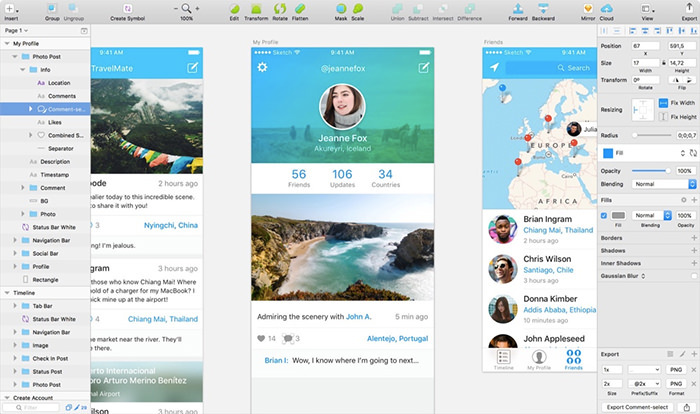 Sketch is a professional software for designers. It has lots of different features allowing you to create everything from a postcard to a complicated application interface. You can enhance its features with plugins. Nowadays everyone wants to post a nice image on social media that may impress their friends and gather more likes. But for such a trivial image manipulation job you don’t need to go all the way to the bulky Photoshop software and get the work done (not to forget, it’s costly too). There are many free alternatives for Photoshop and this post will discuss just that. These tools have all the basic image manipulation features for you everyday photo editing needs and are neither heavy on your Windows system, nor on your pocket. So, let’s just leave Photoshop for professional designers and take a look at these free image manipulation tools for Windows and see which one will suit you the best. 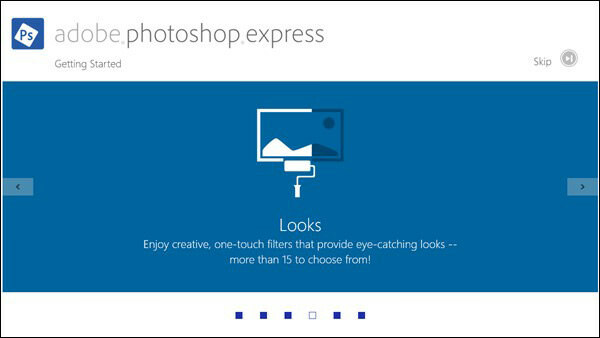 Adobe Photoshop Express for Windows enables photo magic at your fingertips. It’s a small pack of essential everyday photo-editing tools from Adobe to help you create better-looking pictures. It has many exciting features to enhance your photos and do easy touch-ups through functions like crop, rotate, flip, brightness, etc. 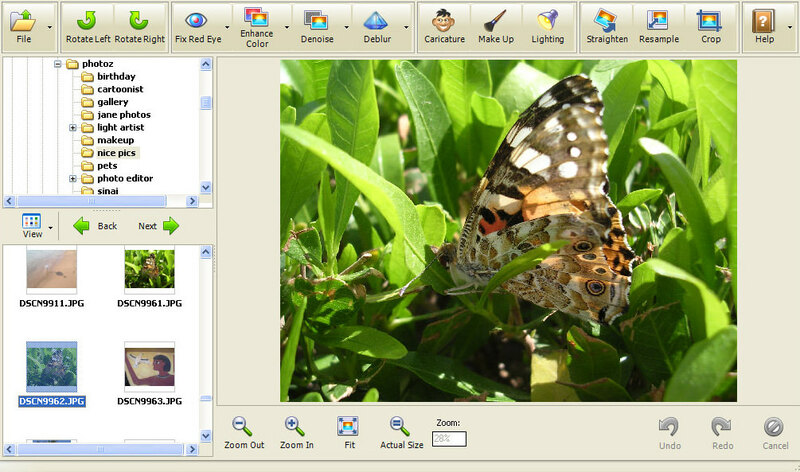 PC Image Editor is a solid but simple image-editing application. It’s built for beginners and professionals who like to customize or enhance photos with minimum effort. 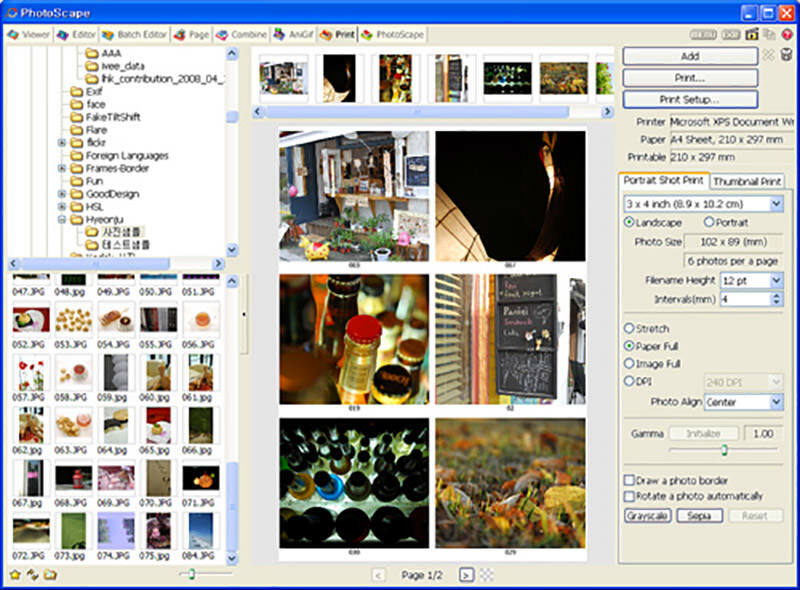 The super intuitive interface brings many editing tools and options such as unique filters, crop and rotate functions, colors and image adjustment features just to name a few. Funny Photo Maker is the best photo editor for enhancing digital photos and making funny pictures. There are several options and tools for customizing your images. 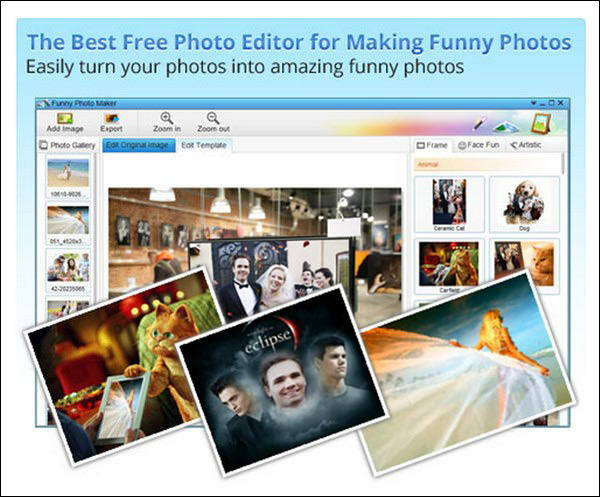 Some of its features include artistic photo effects, decorative frames, funny picture templates and other editing tools. It supports most popular image formats. 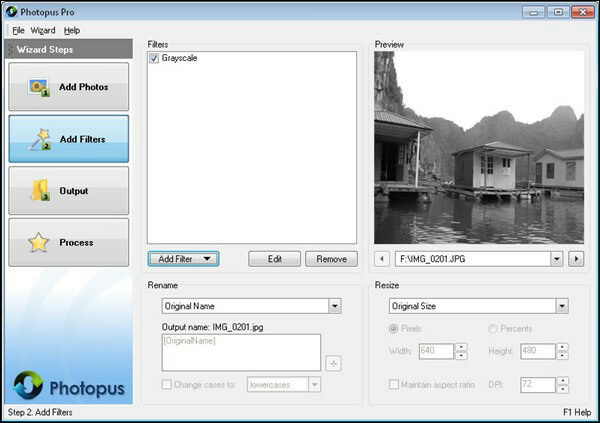 Photopus is a fantastic batch photo editor which eases the customization of a large collection of images. 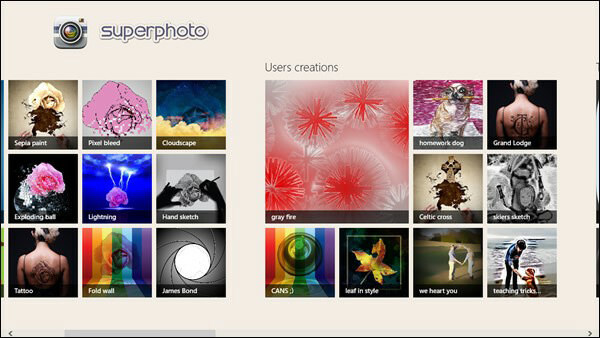 It’s a powerful application with user-friendly interface and lots of options to edit photos with desired customization. It comes with a watermarker, image transformation tools and an image converter among other things. Pos Free Photo Editor is a simple but feature-rich batch digital photo and image editing application. It lets you enhance, edit, print and manipulate pictures easily to create eye-catching graphics. It comes with various basic and advanced image enhancing tools and functions, special photo effects, rich text tools and supports many picture file types. 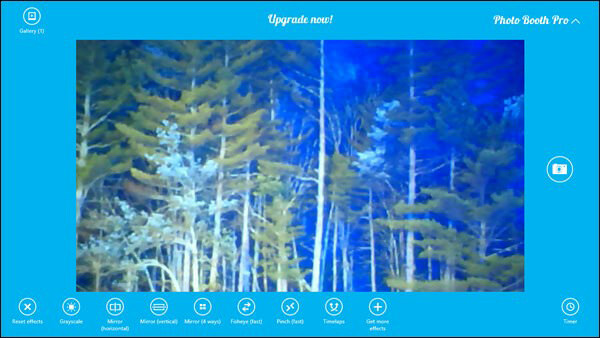 SuperPhoto for Windows 8 turns your digital images into awesome-looking photos. You can make incredible art pieces with outstanding photo effects. It’s feature-packed with 100+ cool effects to enhance your photos. 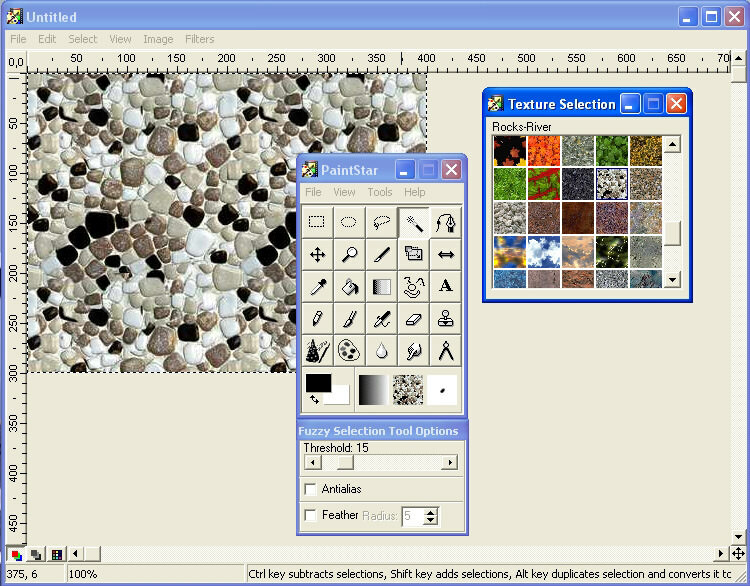 Filters, combos, textures and patterns are among some of its supported editing features. 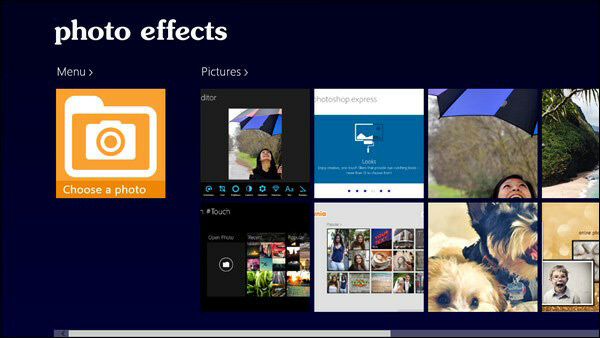 PhotoEffects, as its name suggests, is a powerful free photo editor for Windows 8. 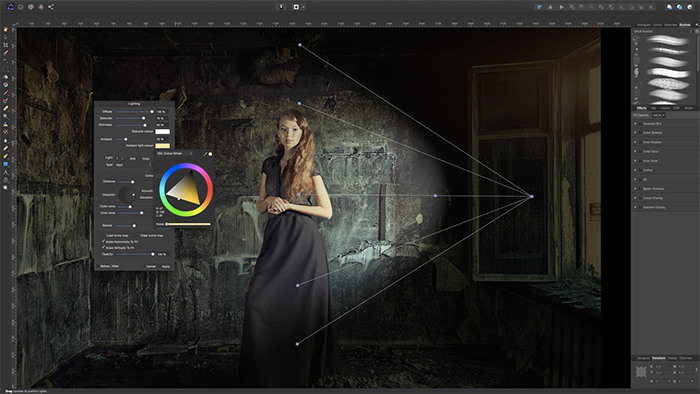 The tool offers easy and quick photo editing on-the-go and comes with a simple, clean and beautiful user interface with lots of built-in image manipulation tools. It offers you features such as photo effects, image filters, color and contrast, cosmetic tools and image sharing options. Only available for Windows 8. Photo Booth Pro is a Windows 8 photo editing tool that lets you take your photos through your webcam with special photo effects. It comes with various photo and camera effects, a snap timer and even photo sharing options. 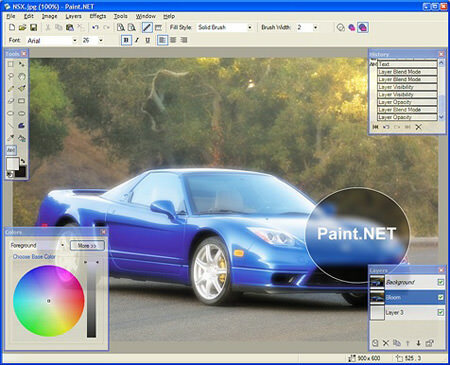 Paint.net is a large and growing design community of users, with lots of tutorials and plugins. It has an innovative user interface with features like layers, unlimited undo, special effects, and a wide variety of useful and powerful tools. 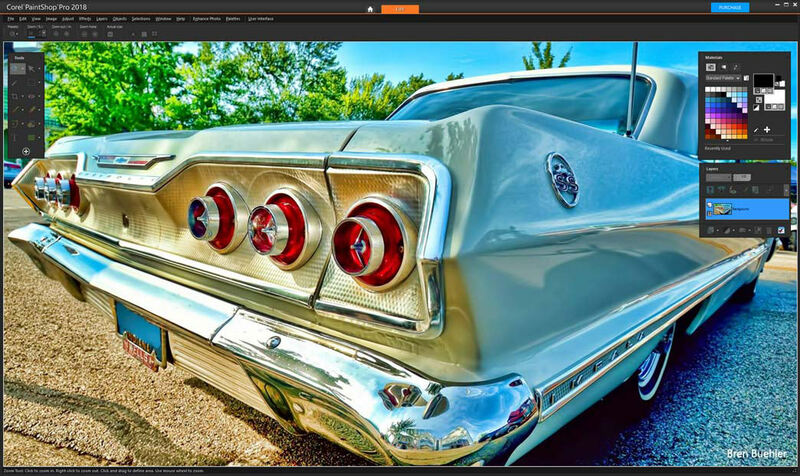 PaintStar is a versatile digital image processing software suitable for tasks like retouching of photographs, composing and authoring images, image morphing, screen capture, and displaying image thumbnail in Windows Explorer context menu. It supports alpha, layer, path and other common editing techniques. Photo! 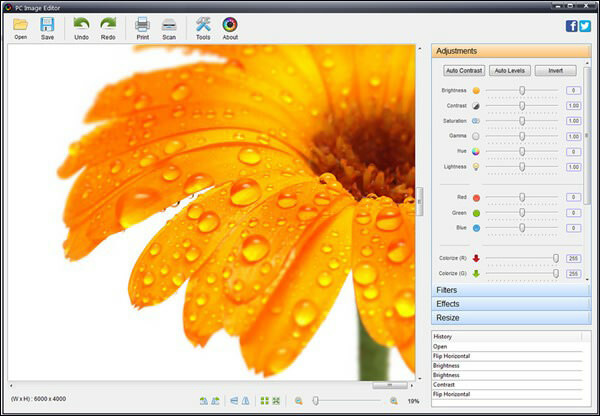 Editor is a multifunctional Windows software offering a complete set of image editing tools. You can remove red eye, enhance the color of the image, make funny caricatures, add astonishing lighting effects, straighten, resample and crop images. Its Denoise tool effectively removes luminance and color noise from digital images made under poor lighting conditions. You’ll also appreciate the Make Up tool that offers a complete set of retouching filters to make the best photos. PhotoFiltre is a great free tool that offers simple as well as advanced adjustments to an image and applies a gamut of filters on it. It is simple and intuitive to use, and has an easy learning curve. The tool comes with a layer manager (with Alpha channel), advanced brushes, batch modules and lot of other powerful tools. Photoscape is the fun and easy photo editing software that enables you to fix and enhance photos. 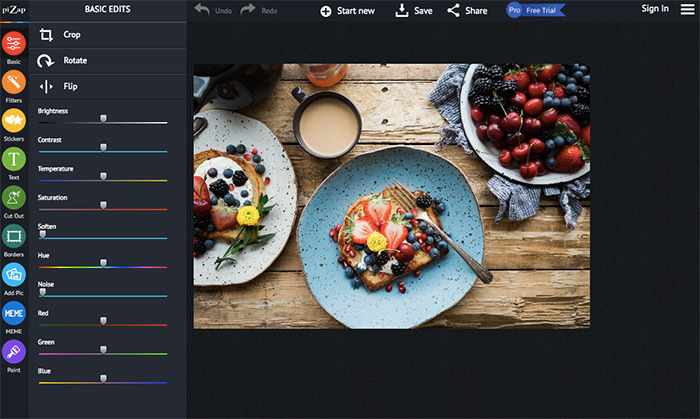 It has a very powerful editor for you to perform resizing, brightness and color adjustment, white balance, backlight correction, frames, balloons, mosaic mode, adding text, drawing pictures, cropping, filters, red eye removal and blooming. 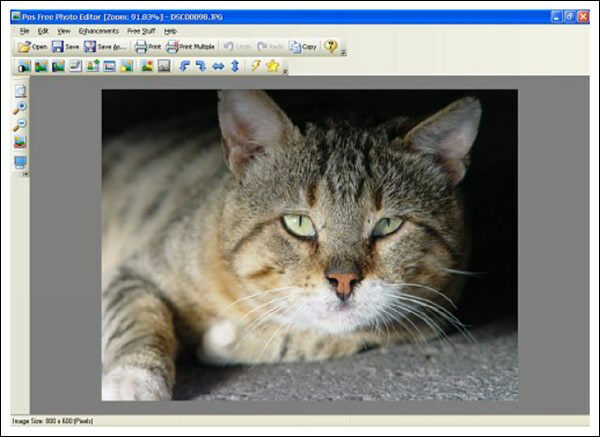 VCW VicMan’s Photo Editor is one of the most versatile image editors for Windows with an intuitive interface and an array of features. 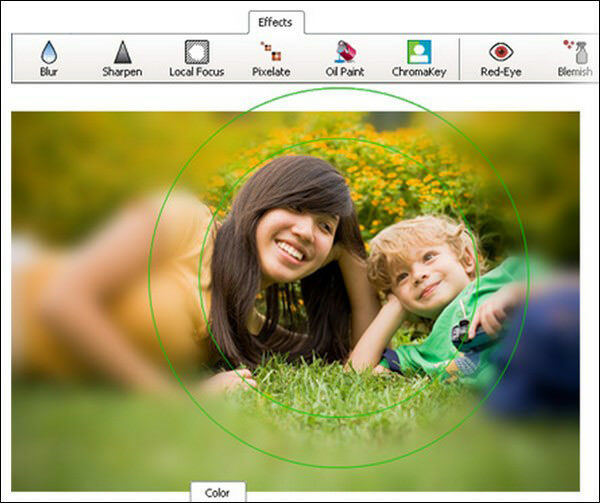 It’s user-friendly, offers simple image editing, high productivity and easy customization. 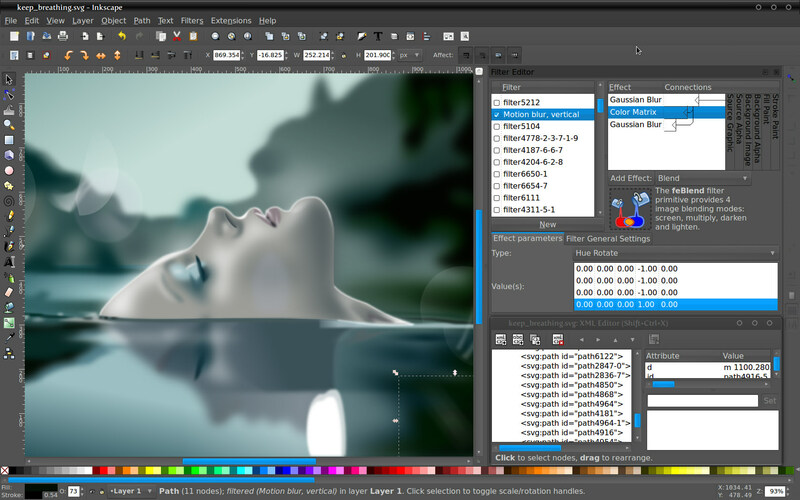 An inexpensive alternative to Photoshop, PaintShop Pro comes with unique color palettes, brushes, gradients, patterns and textures. Its intuitive interface offers faster navigation and a huge range of photo-editing and graphics creation tools. 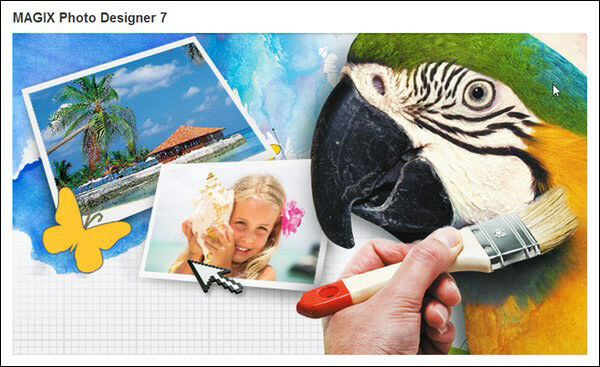 Magix Photo Designer is a free alternative to the classic image editing programs. 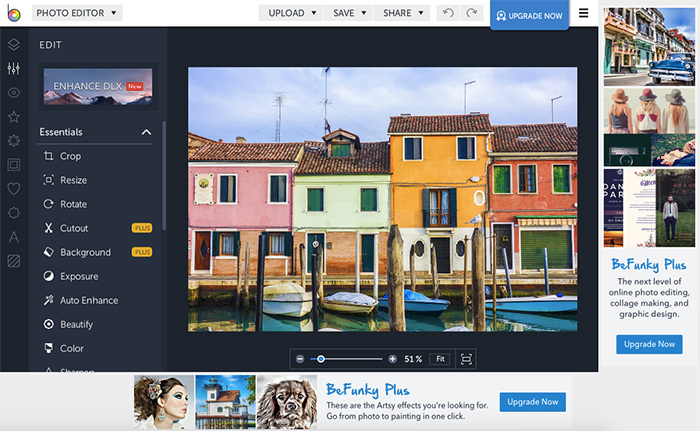 It lets you edit and optimize your digital pictures thus making it easy even for amateurs. With just a few clicks, turn your photos into paintings or fun caricatures. It comes with handy features such as quick optimization, photo effects, collage maker and you can even make panoramas. PhotoPad Image Editor is an easy digital photo-editing application which brings a remarkable set of features and support for all popular image formats. It comes packaged with basic editing tools, dazzling photo effects, photo adjustment tools and various other capabilities. It also allows you to make stunning photo collages and mosaics. 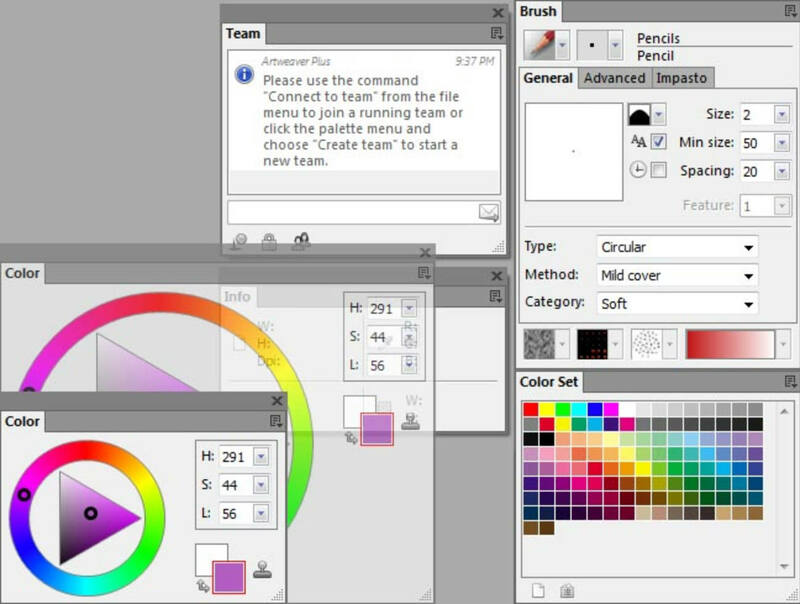 Artweaver is a Windows Freeware program to simulate natural brush tools. It is, therefore, suitable to leave your creativity free run. Artweaver offers you a clear program window and is very easy to learn. 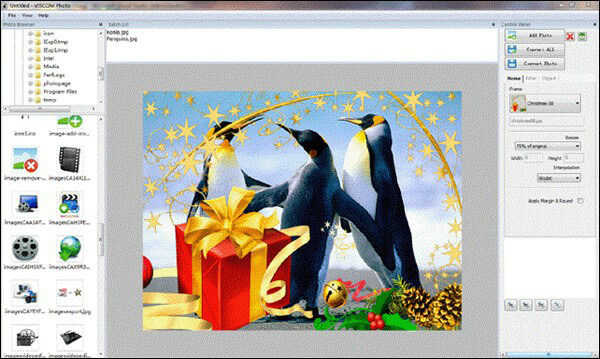 Viscom Photo is an easy to use batch photo editor and collage maker. It comes with drag and drop features, Office 2007-like clean user interface and support for reading and writing various image file formats. 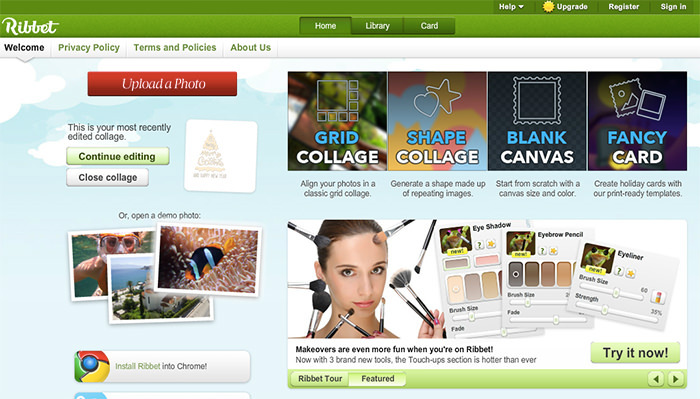 Some of its features include an easy collage maker, background templates, image editing in batch modeetc.